After a quiet spring things are moving again on Farthing. 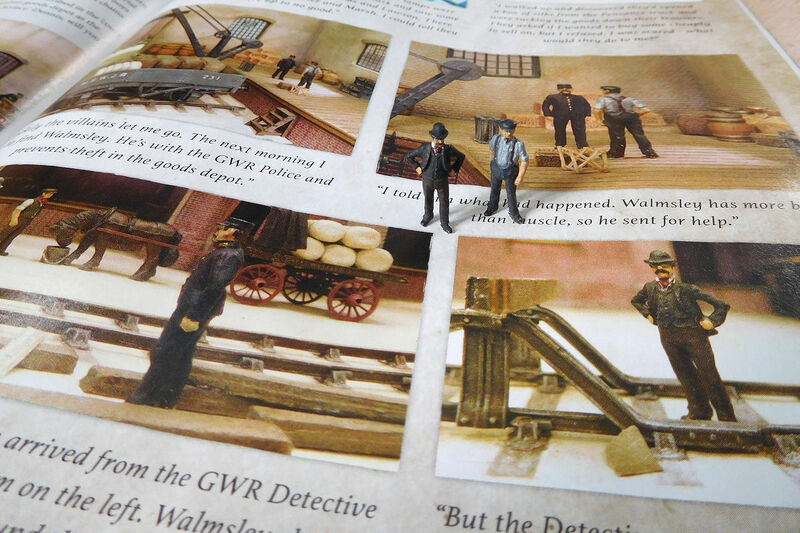 The Slipper Boy story is featured in the June 2016 BRM, which seems a good way to mark the end of work on this layout. Many thanks to BRM for featuring the story. It’s all just a bit of fun of course, but while studying the court case that inspired the story, it did occur to me just how much scope there is for modelling particular historical incidents on the railways. 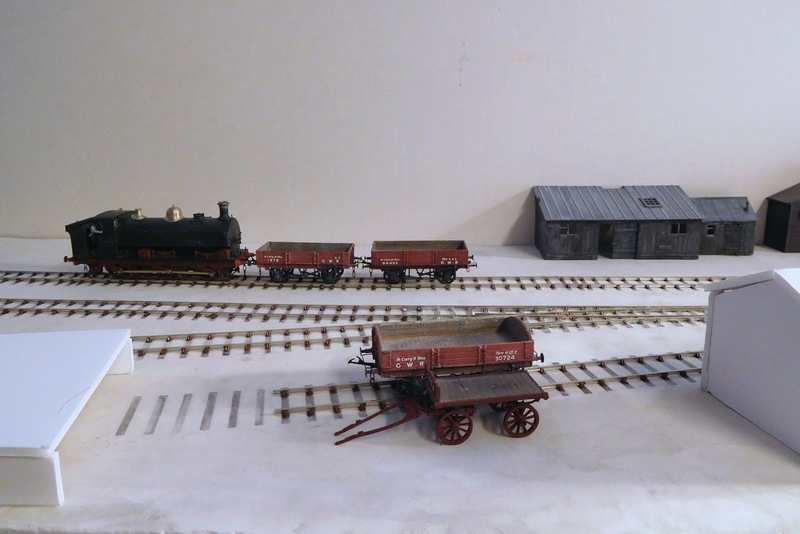 Meanwhile there has been progress on “The sidings”, my third layout in the Farthing series. 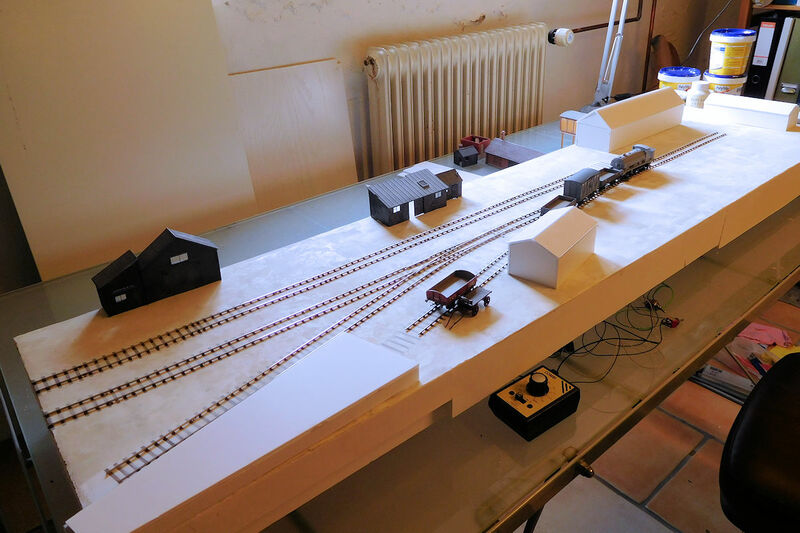 Track and groundcover is now in place and trains are running. It hasn’t been without birth pains though. 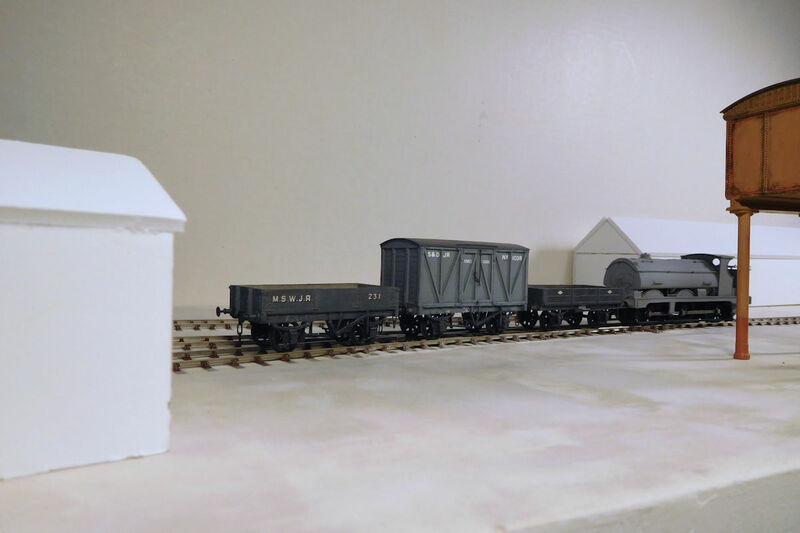 The layout was on the backburner for quite a while and I was losing interest, so I decided to do three things. Thirdly, I cut a corner and decided to have the two points built professionally. This hurt my pride a bit, but I wanted to move on and so John Jones built me a couple of nice 00-SF (aka 4-SF) points at a very reasonable price.